Hyatt Hotels has appointed Portland to handle its comms in the UK following a competitive review, PRWeek understands. The appointment follows a pitch process held in November, which is understood to have involved at least three other agencies. 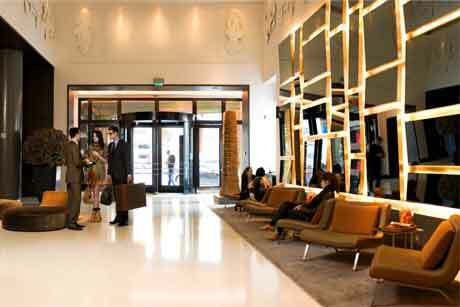 Portland will handle a UK-based comms account for the hotel group, which has three properties in the UK, the Andaz Liverpool Street, Hyatt Regency Birmingham and the Hyatt Regency London – The Churchill. It is beleived that Portland's work will centre on corporate positioning for the wider Hyatt brand in the UK, rather than specific campaigns for the individual hotels. Hyatt International’s director of corporate comms for Europe Africa Middle East Malene Rydahl declined to comment on the appointment. Portland also declined to comment. It is not clear whether the appointment affects the hotel group's relationship with Grifco PR, which has handled Hyatt’s consumer PR in the UK for the past five years. Grifco referred a request for comment to Rydahl.